It’s pure magic in your mouth right out of the jar, but when you combine it with some of your favorite foods, the taste is out of this world. What are we talking about? 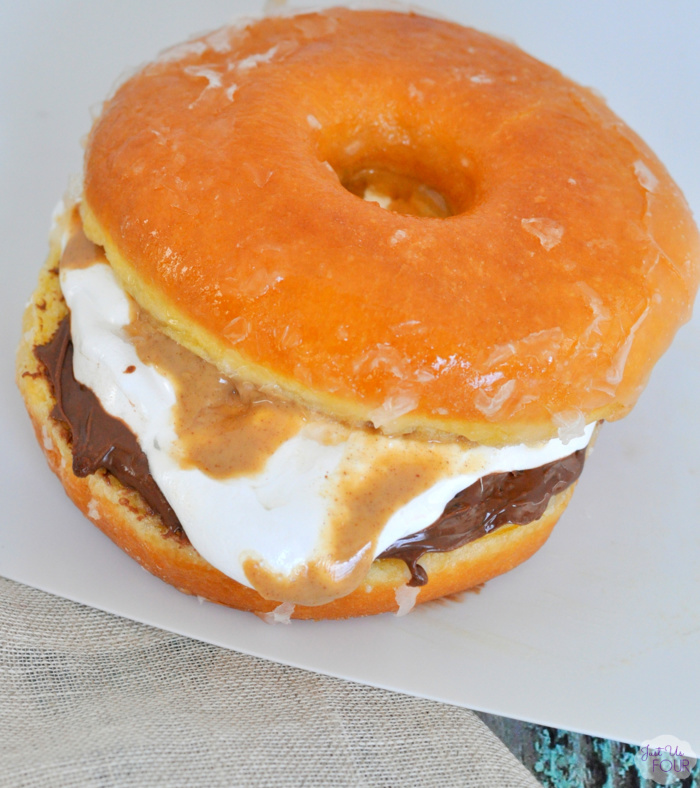 Why, Nutella, of course! 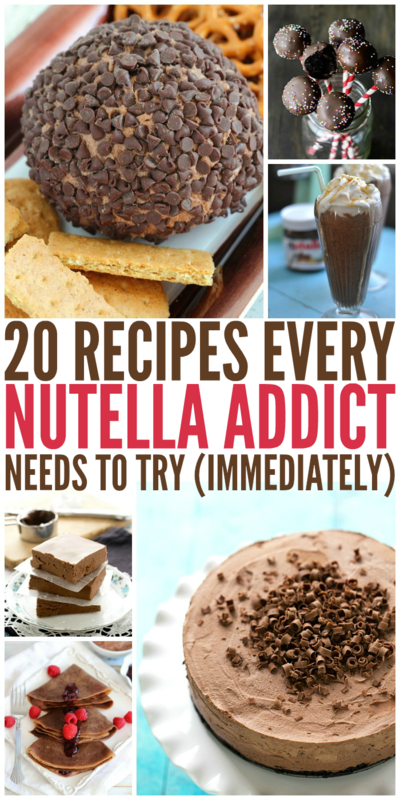 We have lots of Nutella addicts here at One Crazy House, and in our opinion, you can never have too many Nutella recipes. 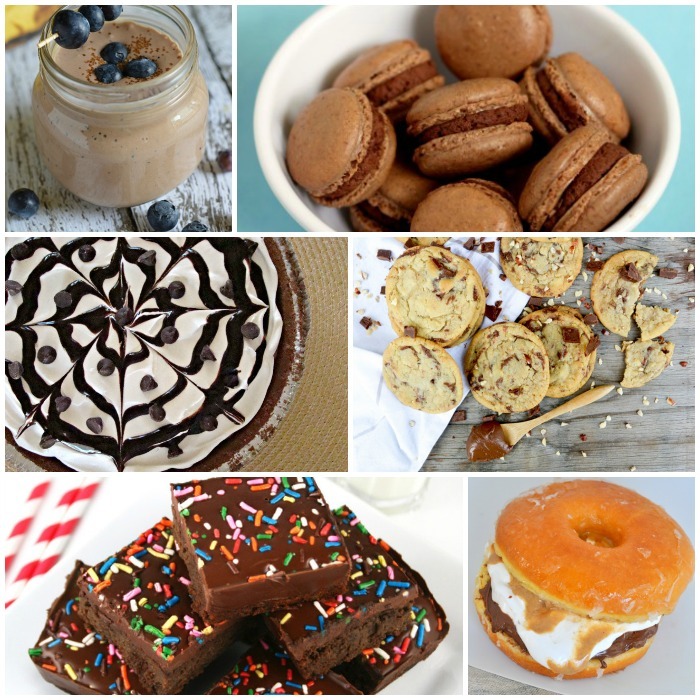 Drinks, breakfasts, desserts… Oh my! It’s hard to choose a favorite! 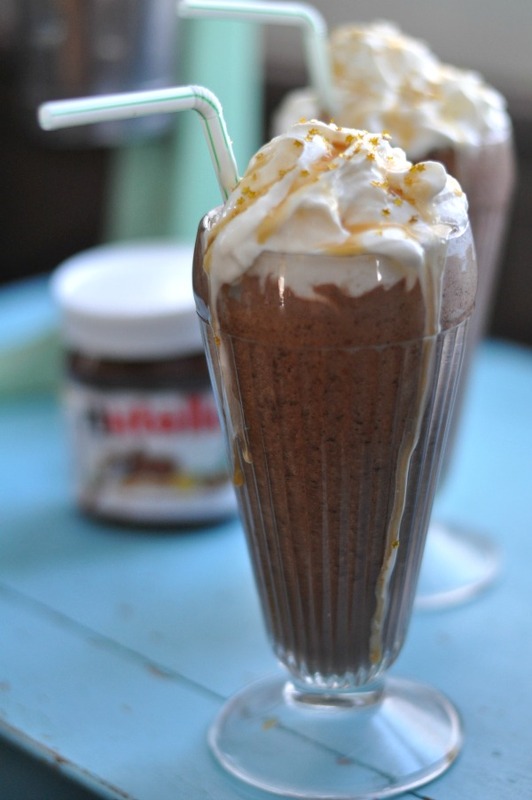 Get your drink on with a creamy Nutella recipe for a milkshake. Mmm… frosty. 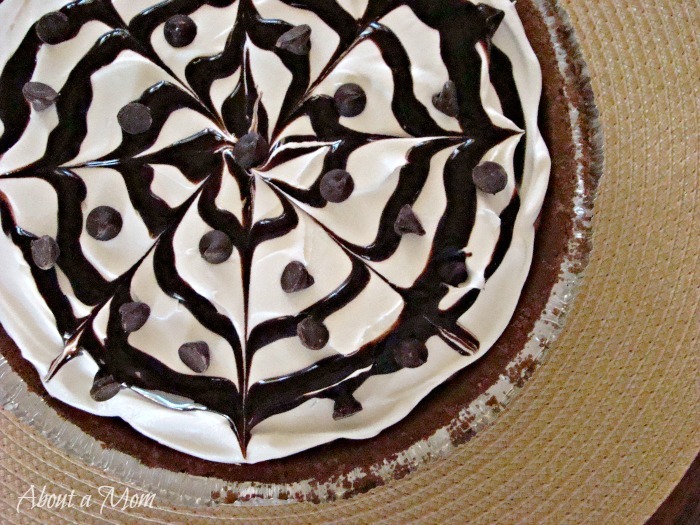 I must be dreaming, because this Frozen Nutella Chocolate Mousse Pie looks too good to be true! 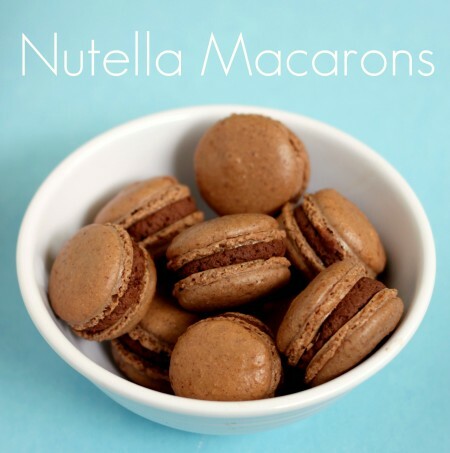 Your family will devour these Macarons – one of the simpler Nutella recipes! 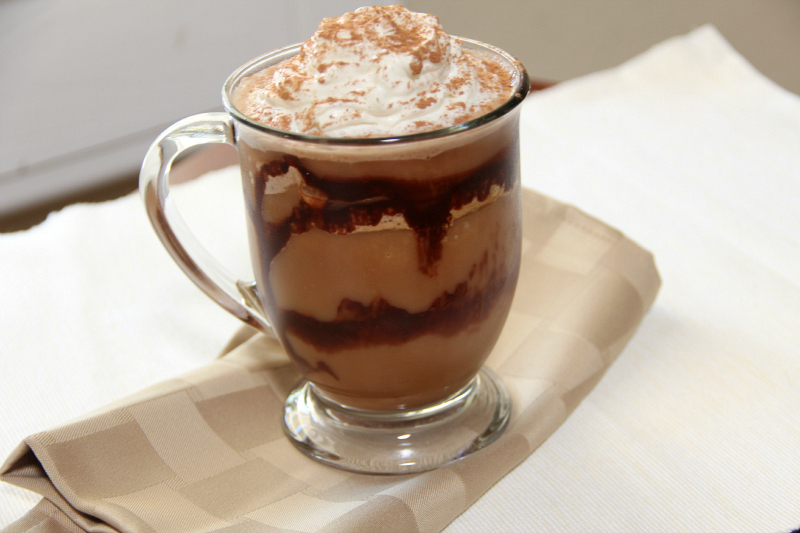 For the coffee addicts, try a Nutella Blended Coffee. You’re welcome. 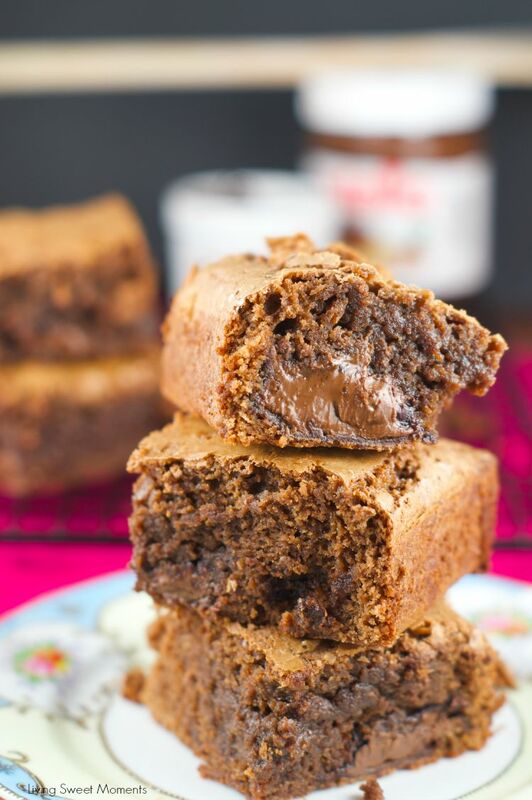 If you’re on a gluten-free diet, indulge in one of these fudgy, flourless Nutella brownies. No one will guess that they’re made with black beans! 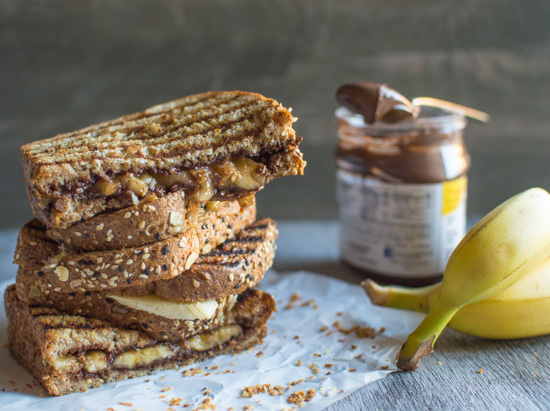 Say hello to your new favorite sandwich: the Grilled Banana Nutella Sandwich. 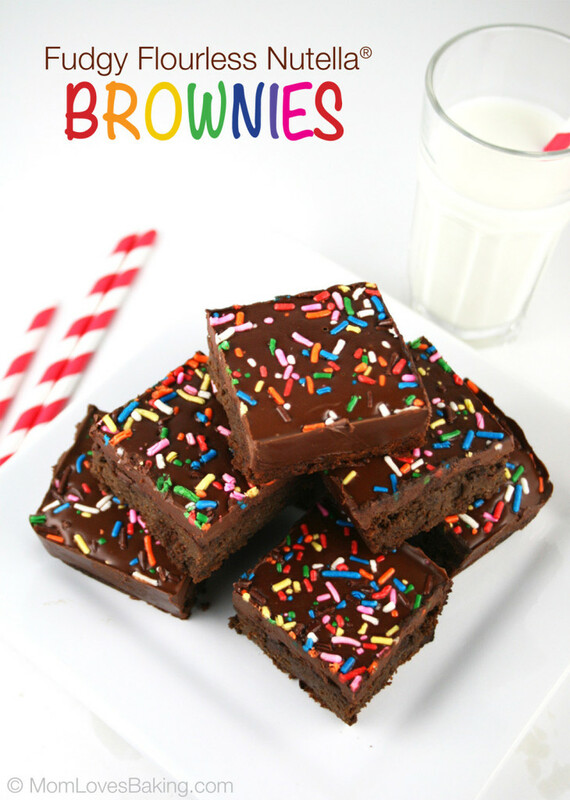 Nutella Stuffed Brownies… All the goodness of your favorite brownie with an ooey, gooey center. 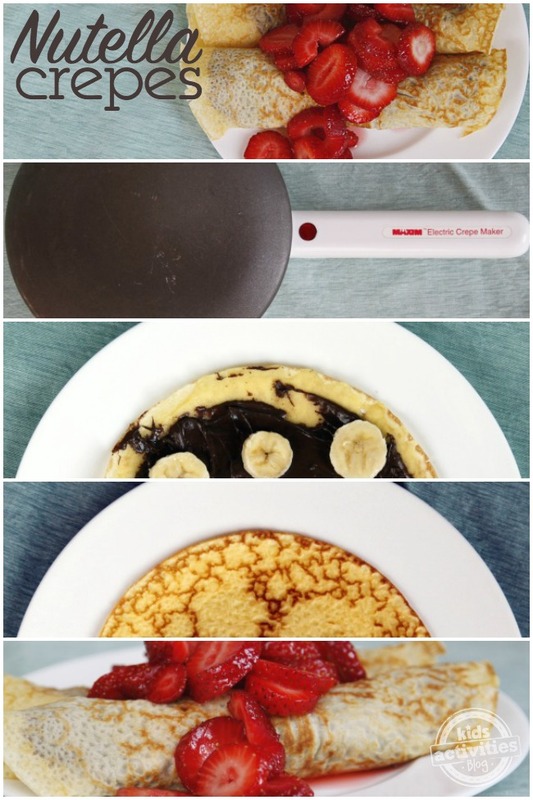 The whole family will go crazy for these IHOP Copycat Nutella Crepes for breakfast. 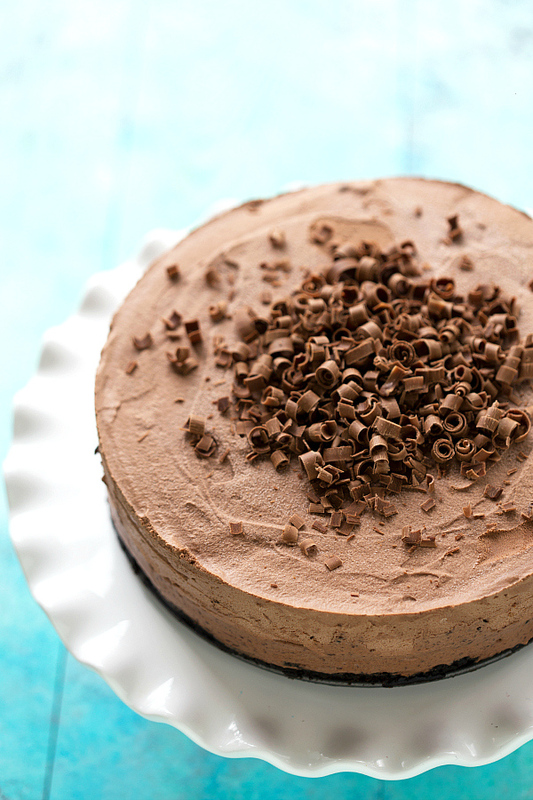 You’ll be asked to bring this Nutella Peanut Butter Pie to every family get-together from now through eternity. You’ve been warned. 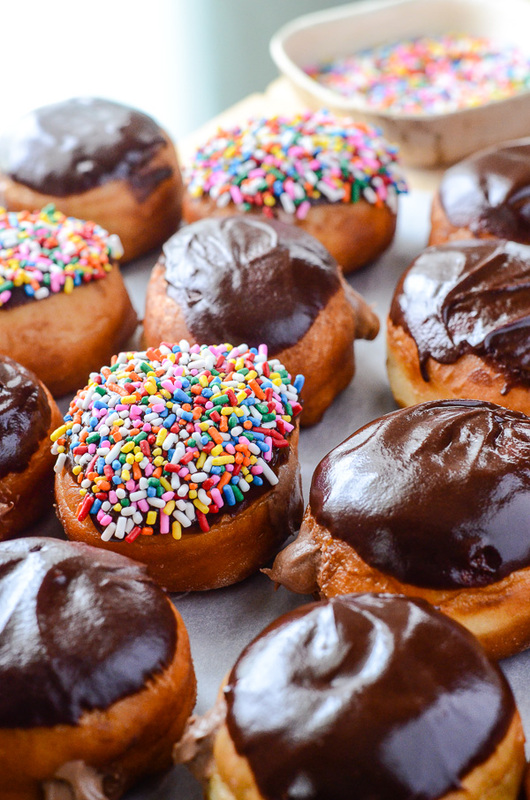 These easy Nutella Cheesecake Donuts are positively irresistible. Smoothies are healthy. Right? Right, guys? 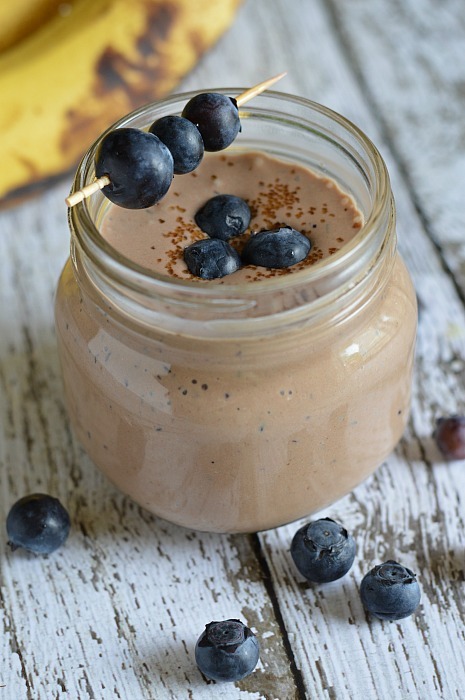 Try this kinda healthy, kinda naughty Blueberry Banana Nutella Smoothie for breakfast. 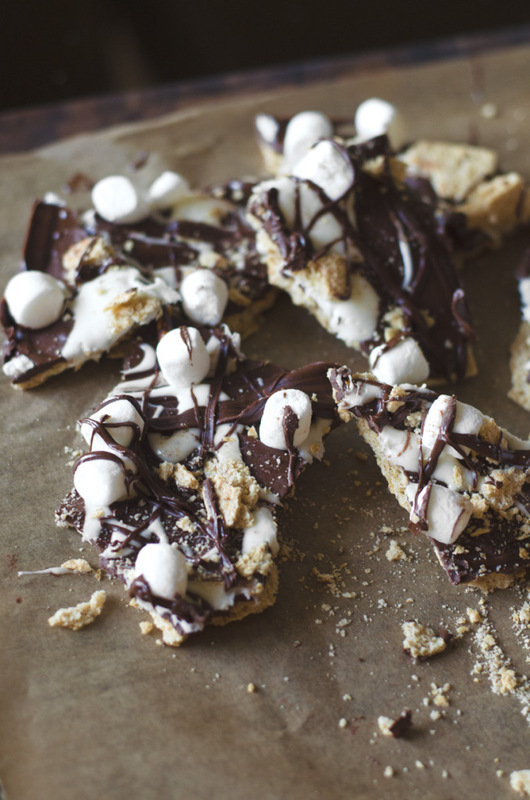 Nutella S’mores Pretzel Bark is a great recipe to add to your list for holiday candy gift-giving. 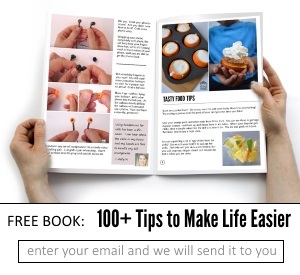 You’ll finally win your neighbors’ approval! 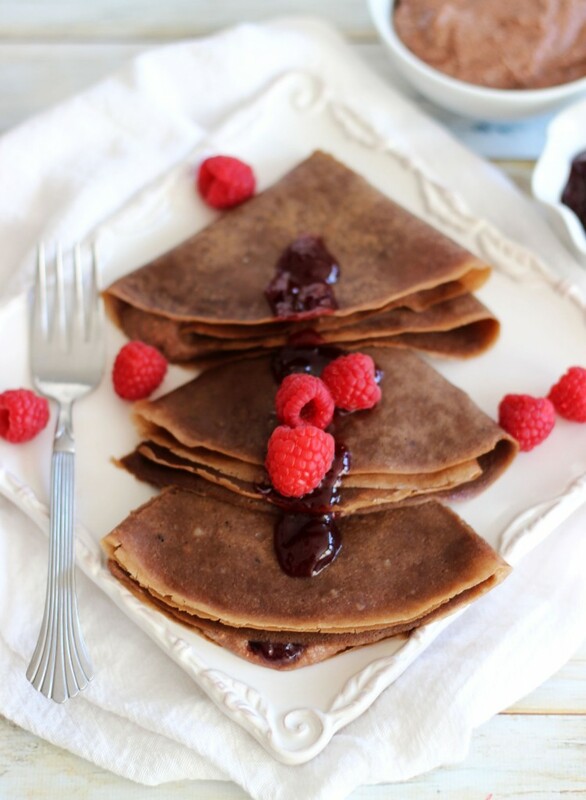 If you want to make breakfast in bed for someone special, these Chocolate Hazelnut Crepes with Nutella Ricotta and Raspberry Jam will win you some major brownie points. 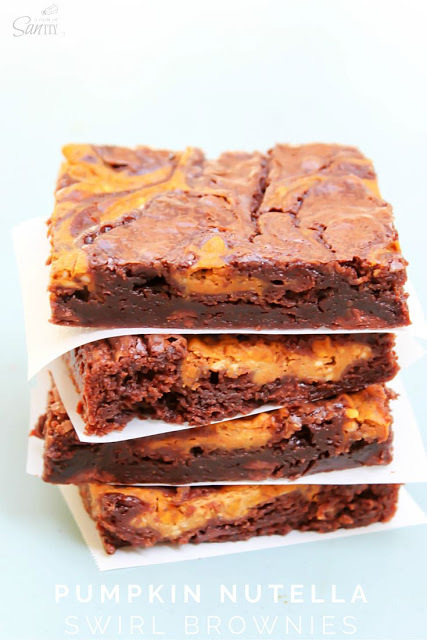 Fall just got a little bit better with this recipe for Pumpkin Nutella Swirl Brownies. Say hello to your new favorite party food. 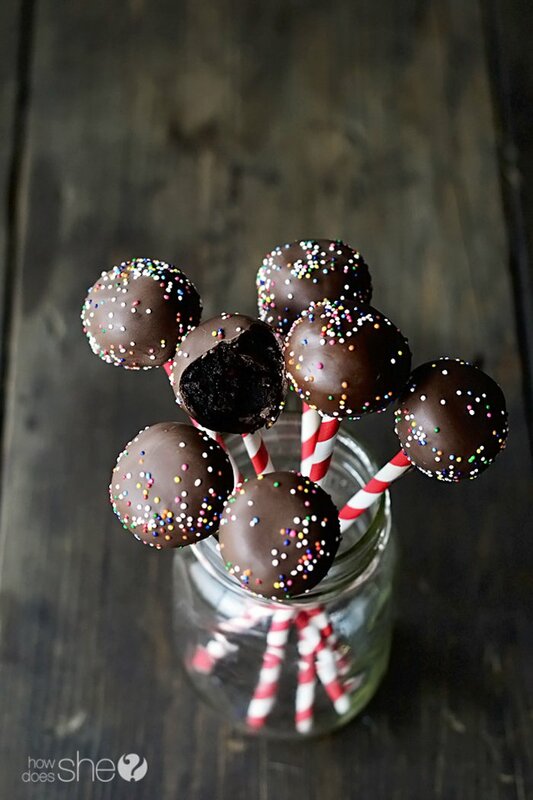 These portable Nutella Cake Pops are sure to be a hit at any gathering! Don’t plan on this Peanut Butter Nutella Sandwich for lunch, but it’s a mighty fine (and rich) dessert. 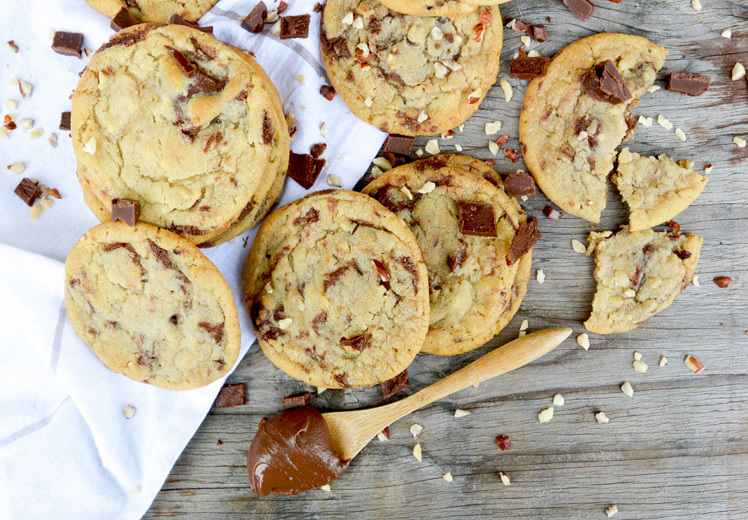 Nutella Chunk Cookies will make you the coolest mom ever. 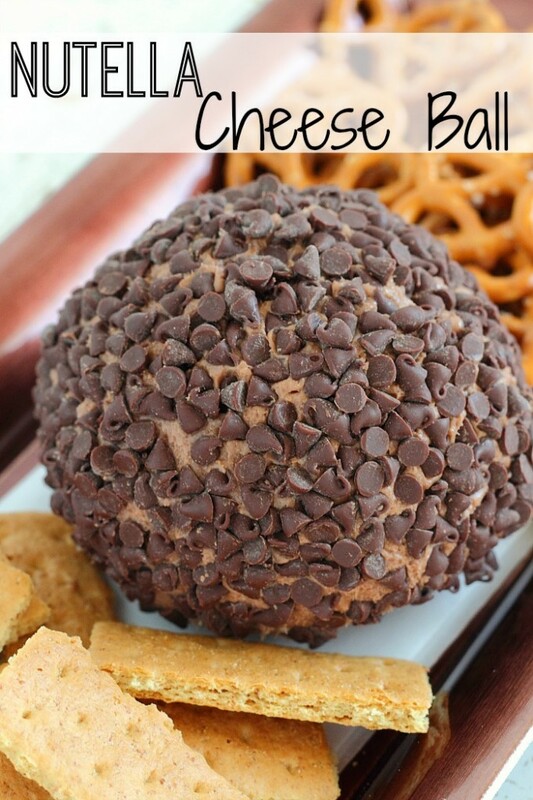 Put together a tray of cookies, crackers and this Nutella Cheese Ball for your next get-together. 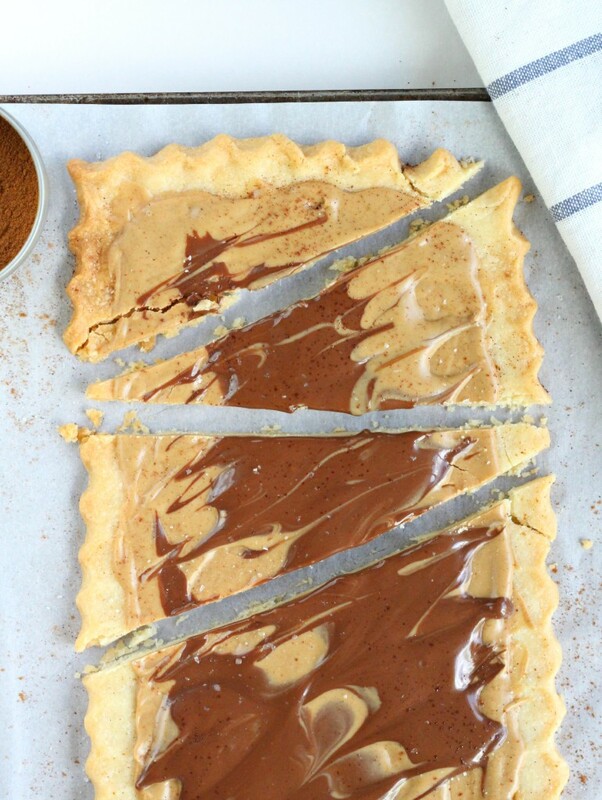 Nutella and peanut butter on a shortbread crust makes for an easy and quick treat. 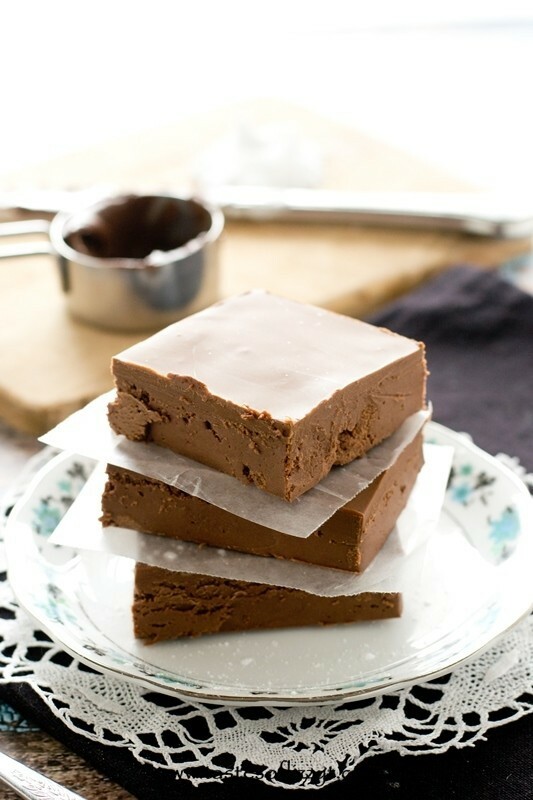 You haven’t lived until you’ve had Nutella Fudge. So rich. So delicious. Which recipe are you going to try first? Decisions, decisions!